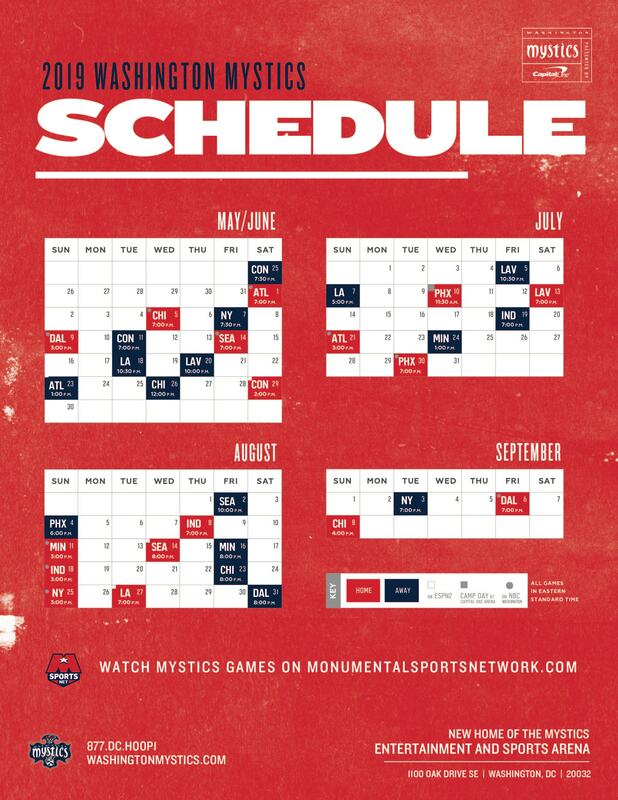 Stay connected with the Mystics wherever you go with the official iPhone app of the Washington Mystics! 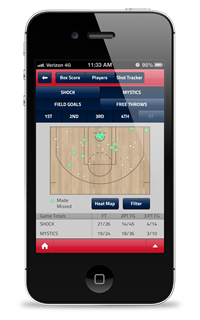 With this app you can track live game scores and stats, access team video and photos, view player and team statistics, check out game previews and recaps, interact with other Mystics fans via Twitter, and much, much more! STANDINGS: Access division, conference and league standings. 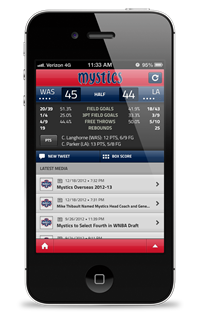 iPhone and iPod Touch: Search “Mystics Mobile App” on the App Store, or click here to go directly to the App Store page. For support issues, please email support@yinzcam.com.